I've recently decided to try face oils. After a long time worrying about if it would make my skin greasy and give me spots. I'm sure I'm not the only one. In the end I just decided to go for it. 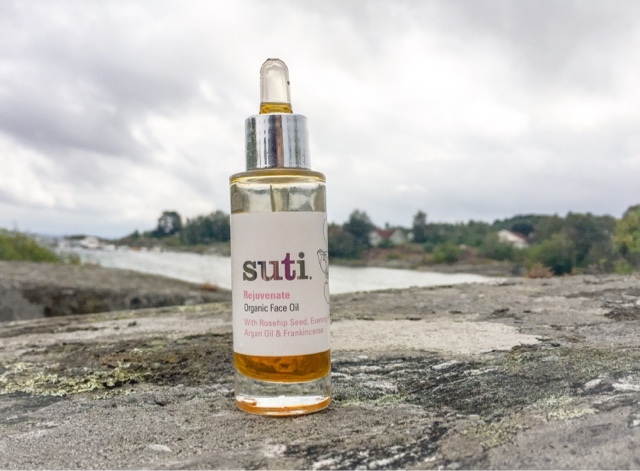 I used Suti Rejuvenate face oil. 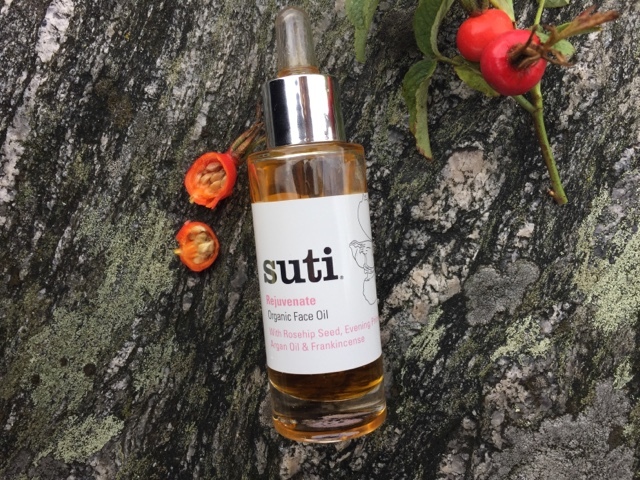 This contains with Rosehip seed, Evening primrose, Argan oil and Frankincense. 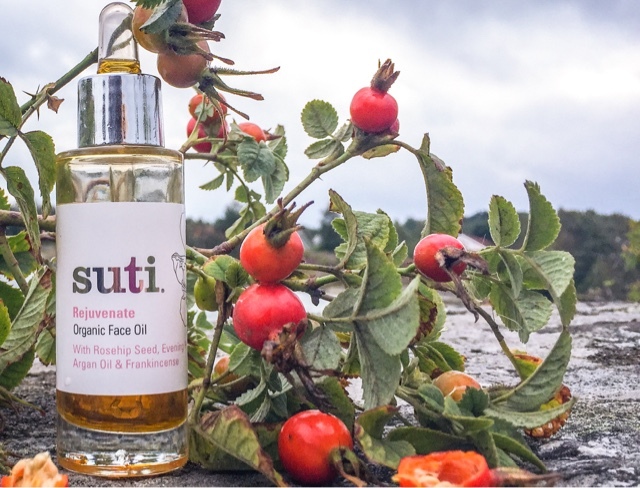 Recently the hype of oils has got bigger and bigger. Such as argan, avocado, coconut and almond oils. 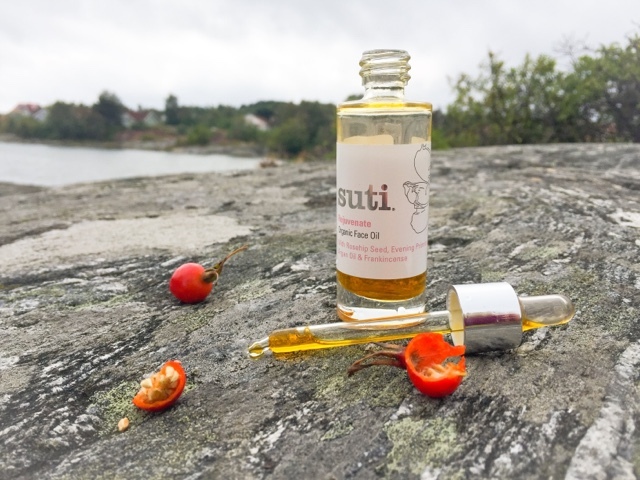 Natural oils has been part of women's beauty regime for thousands of years. Skin cells are held together by plenty of oils. As we age, we produce less oils and we loose our healthy glow and lines starts to appear. We need to add oils back to our skin to keep it radiant and healthy by hydrate the skin. When oils are applied they absorb directly to the top layer of the epidermis and hydrates the skin right away. What is the difference between cream and oils? Creams are mostly waxes and water with a few oils. Waxes leaves a layer on the skin, which helps to hold moisture in. The problem with that a build up of waxes may lead to clogged pores and stops the oils from penetrating. So in the long run it has the opposite effect and dries your skin out. At first it helps to keep in moisture but as the pores clogs up your skin doesn't get the hydration it needs and your skin gets dry. Oils are lipophilic which means they love fat. So they can pass through our skin and fat layer easier than creams. Hydrating the skin thus, so more efficient. My skin is normal to dry. I started to notice a difference almost immediately. Skin felt smooth and soft. I was worried that my skin would feel greasy. But within minutes the oil is penetrated through the skin and only left feeling smooth and hydrated. I haven't got any spots. I did feel applying the oil both morning and evening was a bit too much sometimes. I then changed to apply the face oil only in the evening before bed. Letting the oil sink in to my skin without spoiling the skin with makeup. Leaving the skin still feeling hydrated and good in the morning. Oils are not necessarily more natural and organic than creams, it completely depends on the type of oils and the cream. Both products usually have different abilities and objectives. Oils will give us more elasticity and also some vitamins. Whereas creams nourish the skin and minimise the pores creating a protective layer between the face the world. What do you prefer? Oil or cream? 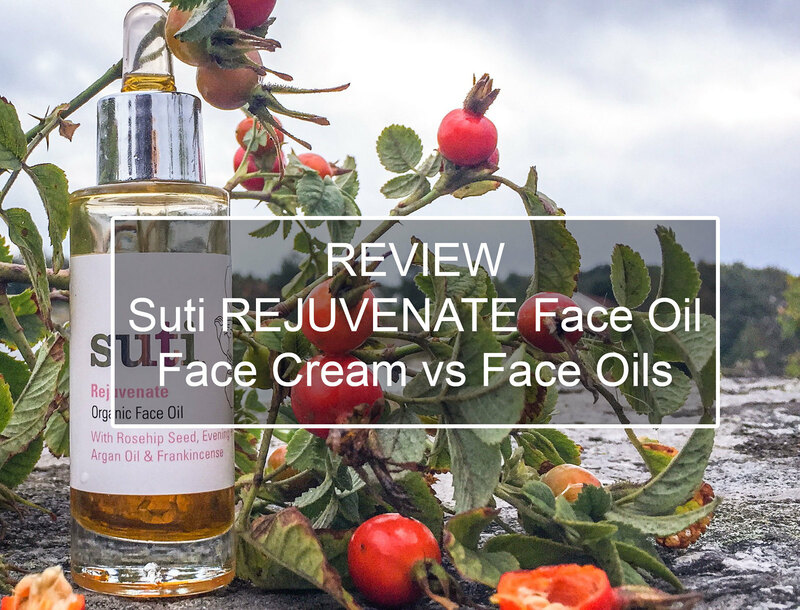 *disclaimer: I received the Suti face oil for free to review and been asked by Suti to write a post on face oil vs face cream. I did not get paid to do this and the view is my own.